Presidential leadership and its qualities are often assumed or imposed by the culture of the given age. While the Constitution and laws of the United States clearly lay out how the executive branch is suppose to act, there are many cases of interpretation and precedent involved in the powers and actions presidents have taken. Perhaps an example of this are the wars and conflicts the United States has fought over the last 70 years without formally declaring war. The following provides a top ten booklist of presidential leadership. 1. Edwards, G.C. (1990) At the Margins: Presidential Leadership of Congress. New Haven, Yale Univ Press. Often, one of the most contentious relationships presidents have is with Congress, even if their own party rules both the Senate and House of Representatives in the legislative branch. 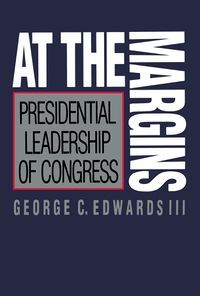 The book by Edwards is now slightly dated but is still relevant in an era where contentious politics between the legislative and executive branches happen before our eyes on a nightly basis. It demonstrates how presidents have tried to take leadership and influence Congress to act on their agendas. 2. Azari, J.R., Brown, L.M. & Nwokora, Z.G. (2013) The Presidential Leadership Dilemma: Between the Constitution and a Political Party . Albany, State University of New York Press. Partisan politics in particular has, in the last few presidents, created difficulties for presidents to enact their agendas. Key challenges include how a president has, at least historically, often tried to be portrayed as a "national leader" for all Americans while still, in reality, act as the leader of a political party. The rhetoric given to the public often tries to combine election results with their agendas and platforms so that the winning party tries to display a form of mandate, while often in presidential politics various other factors may be at play as to why certain individuals or parties win power. Examples of this include the 2008 election, where Obama's victory was in party fueled by anti-Bush sentiment, including his own appeal, that had taken over the country. Nevertheless, this allowed Obama and the Democrats to enact a series of measures that have subsequently become highly contentious with conservatives and parts of the public. 3. Herring, P. (2006) Presidential Leadership: The Political Relations of Congress and the Chief Executive. Library of liberal thought. New Brunswick, N.J, Transaction Publishers. Historians have debated what the nature of the presidency was intended by the founders of the United States. Alexander Hamilton explained the presidency as a needed "energy" that helped to propel the legislative branch to action. In effect, the presidency was to be the engine of government rather than the government or just another branch. More than checks and balances, these branches were meant to act and influence the other. Since Hamilton's time, the presidency has often varied between more centralized or even weak power. Perhaps what was not envisioned in the early United States is the degree to which partisan politics would sculpt policy. 4. Ragone, N. & Velshi, A. 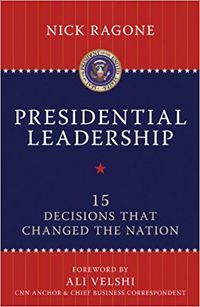 (2011) Presidential Leadership: 15 Decisions that Changed the Nation. Amherst, N.Y, Prometheus Books. Presidential administrations have often been remembered, and at least partially defined historically, by single acts or decisions. For Washington, it was the Whiskey rebellion, for Truman it was his decision to support the was in Korea and subsequently fire Douglas MacArthur, while for John Kennedy it was the decision to reach the moon before the end of the 1960s. While other actions are remembered by these and other presidents, specific speeches and decisions have defined the nation through the experiences or agendas put forth. What the book demonstrates is that beyond laws enacted or agendas pushed, it was key choices made that defined the country and presidency. 5. Dunn, C.W. (2007) The Seven Laws of Presidential Leadership: An Introduction to the American Presidency. Upper Saddle River, N.J, Pearson/Prentice Hall. Dunn has analyzed presidents throughout US history and has concluded there are seven fundamental laws that drive presidential leadership, including its perception by the public and other politicians. These are the law of history, the law of rhetoric, the law of theory, the law of culture, the law of character, the law of politics and the law of management. Some of these laws may have changed in their importance but they are still critical to how Americans often remember and value their presidents. 6. Edwards, G.C. (2012) The Strategic President: Persuasion and Opportunity in Presidential Leadership. Princeton, N.J.; Woodstock, Princeton University Press. There are two major areas the president has to work with during his term. These are Congress and the public. Each is a different dynamic and one could be used against the other. Effective presidents have been able to navigate both areas through persuasion, rhetoric, effective leadership style, and using (or even manipulation of) public opinion. 7. Nye, J.S. (2013)Presidential leadership and the Creation of the American Era. Richard Ullman Lectures. Princeton, New Jersey, Princeton University Press. The twentieth century saw the rise of the United States as a global superpower. That rise was navigated by many presidents using their decisions and ethical understanding. Often, as the United States asserted its authority in the global stage, presidents have attempted to frame that rise as an ethical one that serves the United States and the wider world's interests. 8. Goethals, G.R. (2015) Presidential Leadership and African-Americans: ‘An American Dilemma’ from Slavery to the White House. Leadership : research and practice series. New York, Routledge, Taylor & Francis Group. One great issue facing the United States has been race, particularly in regards to African Americans. Ever since the founding of the country, presidents have often attempted to balance different interests while also coming to terms with racial prejudice and shifting public attitudes. While some presidents took very bold decisions, including pushing the 13th Amendment in the Constitution for ratification, others created a more hostile environment for African Americans in times of great social and political change. 9. Meenekshi Bose (ed.) (2014) U.S. Presidential Leadership at the UN, 1945 to Present. White House Studies. Hauppauge, New York, Nova Science Publisher’s, Inc.
An arena of presidential leadership has been the United Nations. The United States was a founding member of the United Nations and strongly advocated its position in shaping post-World War II global politics. However, since that time, domestic interests have often collided with interests by the UN body. Presidential actions concerning the UN have largely been, in the last two decades, about balancing United States global leadership and domestic or even political pressure at home. 10. Polsky, A.J. 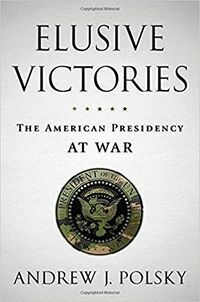 (2012) Elusive Victories: The American Presidency at War. Oxford ; New York, Oxford University Press.